Is your business attending, or thinking about attending any trade shows in the near future? If so, perhaps we’ll see you there - StickerYou attends dozens of trade shows per year. As such, we’ve learned a couple tips and tricks on our travels and here we are to share them with you! 1) Ensure Your Booth is On Point! In business and in life, first impressions go a long way. This definitely applies to trade shows as well. Often, one quick glance at your booth will tell attendees whether they want to stop and check out your booth, or keep walking. Using bright, vivid colors and eye-catching displays can be a great way to attract attention to your booth. 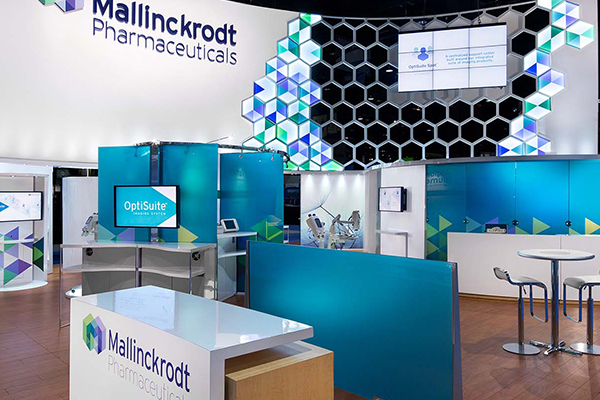 Make sure messaging is clear, concise and consistently displayed throughout your booth. Good lighting combined with bold wall and floor decals can help you achieve this. Okay, so you’ve caught someone's attention and they’re approaching your booth. Now what? Smile! It may sound simple but it can make a world of difference to someone who may not have heard of your brand before. Having booth ambassadors who look approachable is tied in with making sure your booth is looking its best. When someone approaches your booth, try listening before speaking. Attendees will visit dozens of booths and hear sales pitches from nearly all of them, but by listening before speaking you’ll be able to have a more organic, casual conversation. Asking questions about visitors’ businesses often leads to them asking you the same questions, and this is where you can introduce your company in a natural way, rather than it sounding like a rehearsed speech you give to everyone who stops by. Of course, this isn’t to discount the importance of confident, well-spoken booth ambassadors; people who stop at your booth will expect you to be able to explain your business. A common strategy for drawing in customers to your booth and keeping them engaged is show exclusive specials. Make people feel special, and like it was worth their time to stop by your booth. Depending on your product/industry this can be anything from product samples or a gift card to special show pricing on certain products or a discount on their first purchase with your company. This will give potential leads a reason to engage with your booth and with your brand. Remember to make sure your special is posted very clearly in your booth to draw in visitors. Similar to show specials, promo products function to give people a reason to visit your booth, as well as to give them a tangible takeaway that helps keep your brand top of mind. If you’ve been to a trade show before, you know what I’m referring to. Promo items can range from pens to stress balls to buttons and beyond. Of course, we’d be remiss if we failed to mention how custom stickers and temporary tattoos make perfect giveaway pieces and aren’t too hard on the budget either. Get started on your own custom stickers or temporary tattoos today! 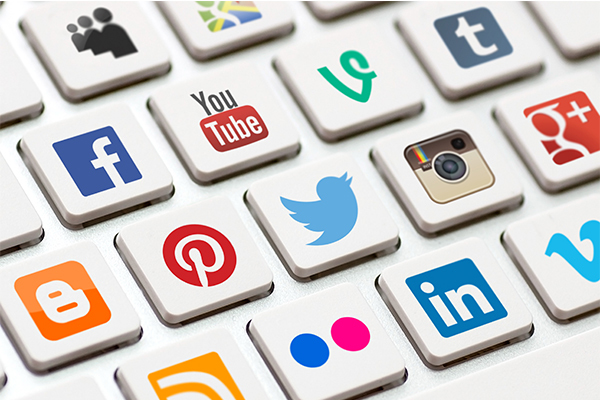 Social media is key – especially for trade shows! With the huge number of exhibitors and attendees, people are constantly hashtagging and geotagging posts, especially on Instagram! It is important to make sure your team is engaging and commenting on attendees’ posts about the trade show, and to use the relevant hashtags/locations in your own posts! You can even invite people to your booth or offer special rewards to others in your network via social channels. A common mistake of many trade show exhibitors, especially those new to the game, is to stay stationed at their own booth for the entire show. While it’s important to have at least one team member at your booth at all times, it is equally important to have team members walking around the show, engaging with other booths and exhibitors. 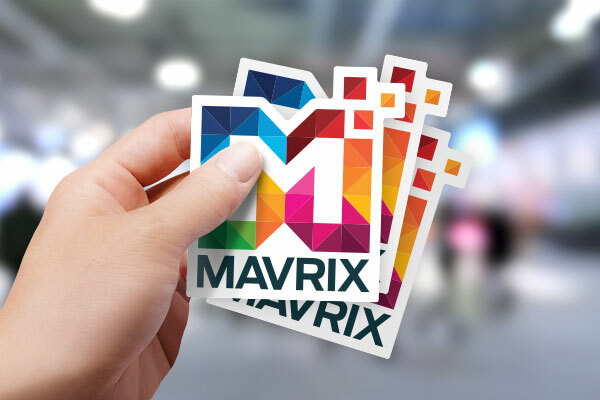 Handing out business cards, samples, logo stickers and engaging in meaningful conversation can go a long way in forming relationships that you may not have come across by staying at your home booth. This can also be a great way to keep an eye on what your competition is doing - an important tactic of any successful business. If you are a new company with a small budget, exhibiting at a trade show may not be for you, or at least not just yet. 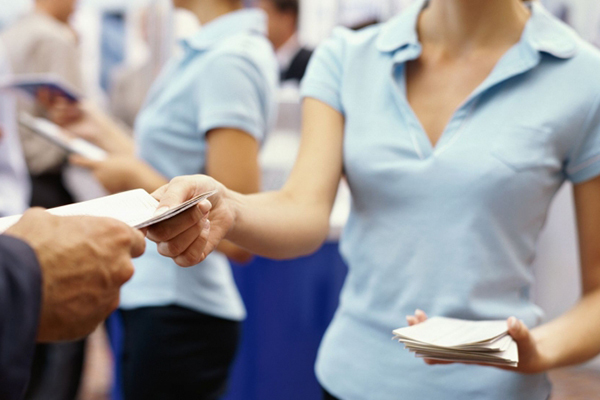 Simply attending trade shows and networking may be the best option for you, until you’re ready to exhibit on your own! As mentioned previously, attendees will be visiting many booths and speaking with a number of people and companies. Help them remember your company by following up with them after the show and doing this in a timely manner! If you wait too long to follow up, their interest in your product or company will wane over time as they get back to their jobs and everyday lives. Follow up messages are a great way to keep your company top of mind, keep your audience retentive and give them a deeper insight into your product or business. Bonus Tip: Wear Comfy Shoes! Standing on your feet and walking around all day can be more tiring than expected, especially if you’re not wearing comfortable shoes. Do not underestimate the importance of comfy shoes - this might be the best tip in this blog! 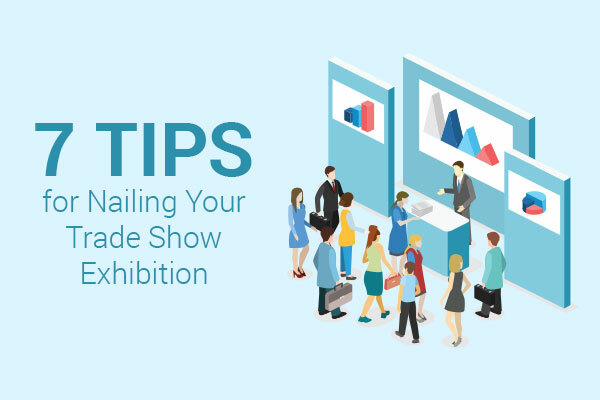 At the end of the day, the more you put into a trade show, the more you’ll get out of it. That is to say, the more prepared you are in advance of the show, the more rewarding the return will be. 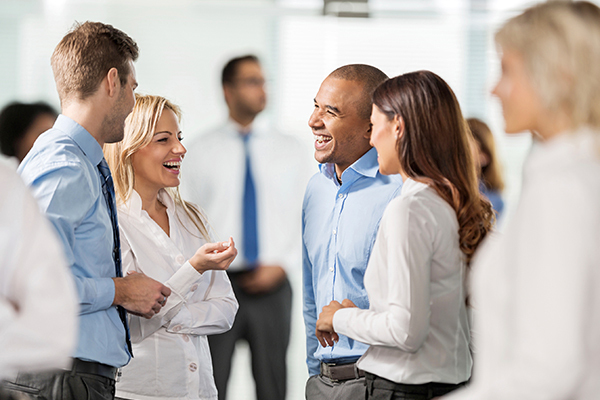 Make sure everything from your booth, to attire, to conversation topics are thought out well in advance and thoroughly understood by each attending team member. If you’re stuck worrying about details at the last minute, you won’t be in the right headspace when the doors finally open, and remember - first impressions are key. Get started on custom logo stickers, wall decals, temporary tattoos and everything else sticky at StickerYou!